Carl C. A/S has developed a wide range of products in the area of steel structures. These include our self supporting lattice towers as standard solutions which are available in heights of up to 140 m and can be equipped with ladders, fall-protection devices, aerial booms, etc. We continuously develop our product range and adapt it to every need. We carry out static and dynamic calculations – pursuant to current standards, official requirements and customer requirements – for all structures. 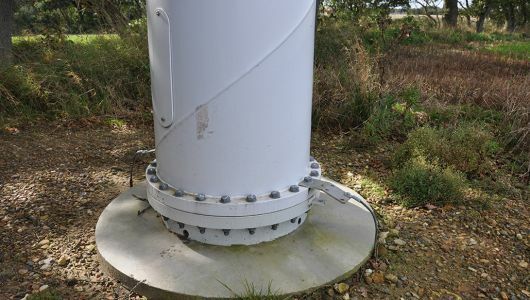 Tubular towers were developed for the telecom sector as an alternative to the lattice towers. Their slender shape gives tubular towers good possibilities of use in urban environments where design is crucial. Tubular towers are made of round tubes of declining diameter. The surfaces are hot-dip galvanised, to give the tower a very long service life. As an additional extra, the tower can be painted in the colour of one’s choosing. Tubular towers are designed for up to four operators within the outward curve at the stop exceeding 1°. 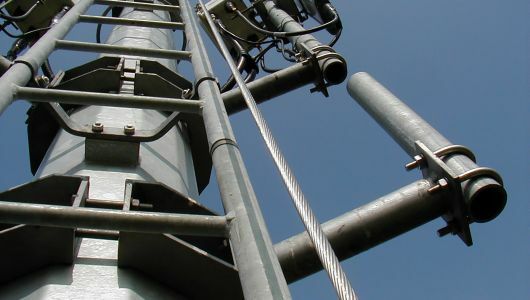 The standard heights of tubular towers go up to 33 m.
As additional equipment, the towers are available with a combined ladder and fall-protection system, as well as climbing safety fittings at the bottom.